Review: Three of the major pedestals in the Icelandic techno scene gave birth to a classic Thule release in 1997. 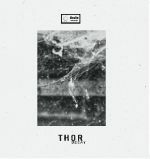 This collaboration between Sanasol (Yagya & Thor) & Ozy gave result of an EP, which is considered by many to be one of the finest of the Icelandic techno of that era. Seveneleven is a delicate blend of deep techno and minimalist house music. Enigmatic combination of lush pads, delicate percussions and dubby chords are destined to transport the listeners to an higher unknown state of euphoria. Fans of melodic dub techno will embrace this release as much as it was done 22 years ago - as good music never really grows old. Thule Records is considered by many to be a pioneers in the field of dub-influenced techno music and was a starting point for many of Iceland's most renowned electronic musicians. Review: "The wait is over as we finally have a new release ready by one of the originators of Icelandic techno. It's been a while, but worth the wait - as he delivers a straight-shooter, destined to find place in the record bags of all serious djs for years to come. 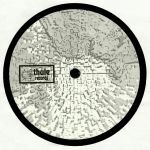 The EP consists of four dub-influenced techno tracks - each one exploring the depths of sonic and emotional landscapes. Some might even say glacial and atmospheric, yet perfect for a late night spin at the clubs. 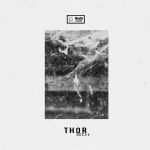 Review: Building on the momentum of the strong reissue programme undertaken at Thule Records HQ, Thor returns to the fray with some new productions that add a new chapter to the story of Icelandic techno. This limited run of Decay appropriately comes on marbled grey vinyl. Of course, the unique atmosphere the label carved out in the 90s has been left intact - the dubby processing and icy melodies abound throughout, creating utterly immersive techno and house variations in the process. "Insanity Dub" has a live feel to its drum set which injects a curious disco energy into the mix, while "Rusty Flashback" takes things in a subtle tech house direction. "Garden Of Corrosion" stands apart with its slender sound palette, placing the emphasis on groove and swing, while "Pepper Jones" ramps the dub techno exploration up to 11. If you love the sound of Thule, you're going to love this.